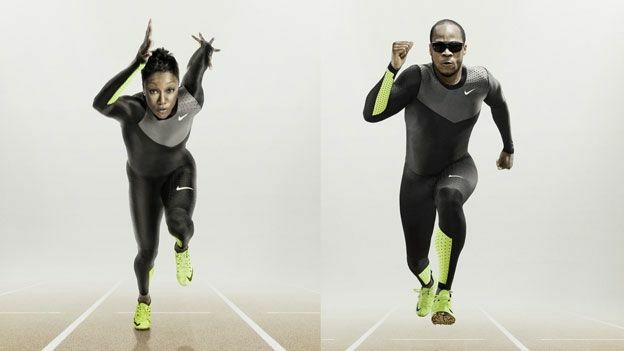 Sporting giant Nike has unveiled its latest athletics kit ahead of the summer's London 2012 Olympic Games with the Nike Pro TurboSpeed suit taking sprinting to a new technical level. Claimed to be “faster than skin” the Nike Pro TurboSpeed is capable of shaving up to 0.23 seconds off 100 metre times recorded in previous kits and is created using 82 per cent recycled polyester fabric, a material that uses around 13 recycled plastic bottles per piece of kit. “For the past 12 years, incorporating more than 1,000 hours of wind tunnel testing, Nike's Project Swift has evolved and refined superior Nike AeroSwift technology, working towards maximum velocity for elite athletes,” the company announced in its official announcement. Set to be used by Nike sponsored athletes from April onwards the TurboSpeed will be on show during the London Olympics with the USA, Russia, Germany and China national squads donning the ultra snug gear. Do the upcoming London Olympics and abundance of exciting new bits of fitness kit have you in the mood to don a pair of trainers? Let us know via the T3 Twitter and Facebook feeds.